Klei's next game is outside the studio's comfort zone. 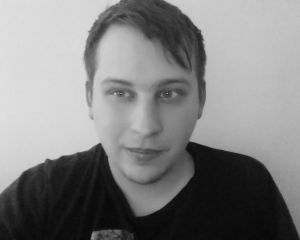 For more than a decade, the Vancouver-based developer has found a reasonable amount of success with its 2D action adventure games. The upcoming Hot Lava is Klei's first attempt at a 3D title -- and it has a first-person perspective, to boot. Sometimes you have to step outside your comfort zone to do something truly great. 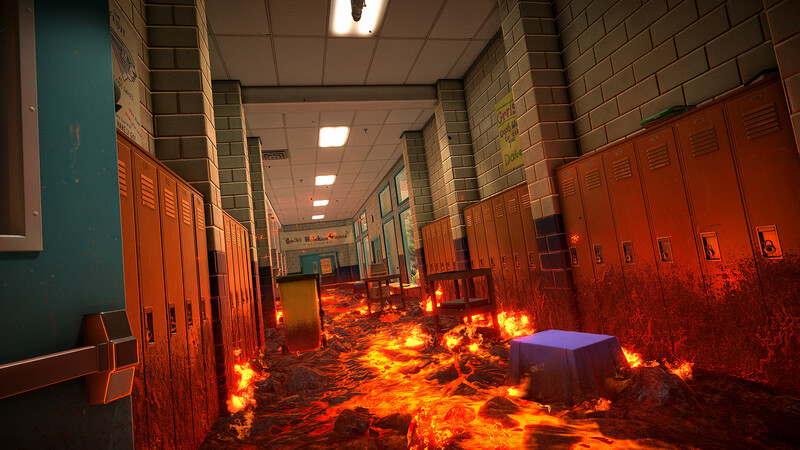 Hot Lava is a Mirror's Edge-styled 3D platformer from the imaginative viewpoint of a schoolkid. As the childhood game went, "the floor is lava." That's what Hot Lava is. It takes the idea of bounding across your parents' furniture without touching the carpet, and it expands the concept by turning the entire world into a giant obstacle course. Don't touch the lava because this lava is literal lava. Here's a video of me playing Hot Lava (mostly poorly). It's the tutorial and the first level, which are both set in what seems to be a middle school -- although it could probably be a high school or maybe even an elementary school. It has been a long time since I was a student. Regardless, learning happens here. And learning happened in my playthrough too. There's a lot about platformers that are intuitive. Like, just get from Point A to Point B. Land on your targets instead of not landing on your targets. That's generally a good formula for Platformer Success. But there's a side to Hot Lava that isn't necessarily intuitive. Maintaining momentum is the key to speeding through this game, but I often found myself unwilling to commit to barreling full speed ahead. That would mean certain death and Hot Lava is too difficult to warrant sacrificing progress. Instead, I subconsciously slowed down and did some pathfinding before moving forward. Getting the lay of the land is always a good idea. The Hot Lava beta just started today, and it looks as if signups are still open. Go see for yourself how ruthless this platformer can be. When there's no margin for error, the heat really gets turned up.